Mongolia is going to elect its President for the seventh time since its transition to democracy under the new Constitution. Three candidates from MPP (majority with the Parliament, 65 seats), DP (9 seats in the Parliament) and MPRP (1 seat in the Parliament) registered by the General Elections Committee in compliance with the Law on Elections on May 11, 2017, followed by the review of the General Election Committee whether the candidates comply with the Law. Initially, the MPRP nominated candidacy of ex-President Nambar Enkhbayar, however, it was confirmed that ex-President had breached certain provisions of the Election law, including lack of required documents to be submitted along with the application, conviction term hasn’t yet ended (to end August 2 2017) and hasn’t reside in home country for continuous five years. As the MPRP nomination was recalled, the party nominated S.Ganbaatar, well known anti-mining public figure who appeared on the political scene with rallies standing against Oyu Tolgoi, the largest copper gold project in the world. On May 17, 2017 the General Elections Committee officially announced the three candidates for the President. 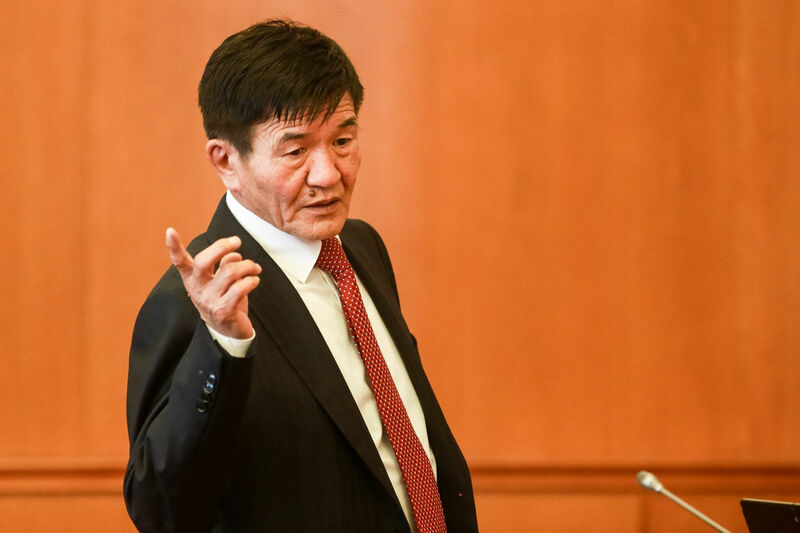 Miegombo Enkhbold, (born 1964) candidate from MPP, MP, Speaker of the Mongolian Parliament (State Great Khural), ex-UB mayor, member of the Parliament since 2005, had served as a PM for 1 year in 2006. Sainkhuu Ganbaatar, (born 1970), called initially as Feng-Shui Ganba for his retail selling Feng-Shui items, started his political career from the leader of Radical movement back in 2005 strongly opposing Oyu Tolgoi (currently Rio Tinto managed mine), later he was appointed as the leader of the Mongolian Trade Union. In 2012 elected as a Member of the Parliament running independently. All three of them run in the Parliamentary elections last year, M.Enkhbold from Tuv aimag, Kh.Battulga from Bayankhongor and S.Ganbaatar from Darkhan-Uul aimag. Only M.Enkhbold was elected to the Parliament. On May 27, three candidates were presented confirmation papers from the General Elections Committee announcing them officially as candidates for the Presidential elections. Upon the presentation of confirmation, the candidates opened their donation accounts. The Presidential campaign officially started on June 6, 2017 allowing the candidates officially to have meetings with electorates across the country. M.Enkhbold launched his campaign from Dornod aimag, the most eastern province of Mongolia, while Kh.Battulga started his campaign from Khentii aimag, birthplace of great Chinggis Khan and S.Ganbaatar delivered his speech to his electorates in Darkhan-Uul aimag where he lost during the Parliamentary elections. Platforms proposed by the candidate quite diverse which could be observed from the platform slogans. M.Enkhbold proposed “Mongolian family, Mongolian state”, Kh.Battulga “For the powerful Mongolia”, S.Ganbaatar “Launching the great journey”. Mongolia’s foreign investment can’t be seen separately from the mining sector which had indeed booming in early 2010. Here are the excerpts from the candidates’ platforms on the mining. A Mongolia is an owner of Mongolia’s motherland. 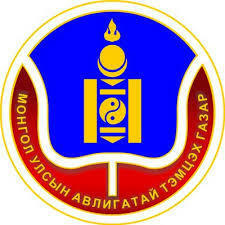 This means that a Mongolian person must an owner of natural resources. This is a patriotic mind to give natural resources to the citizens. This is directly related to my talks about Oyu Tolgoi for many years and fighting for that. I am keep telling many times that we can’t lose Tavantolgoi, we can’t divide it. can’t be lost. During the campaigning which is scheduled to be end on June 24, 2017, 24 hours before the elections, number of sensations related to the candidates blasted the media becoming the M.Enkhbold was alleged to be involved in the “deal” to raise 60 billion tugrugs (≈US$24 m) from selling government positions. Despite the discussion of the “deal” was revealed before last year’s parliamentary elections, the sensation was broadcasted once again this year. Kh.Battulga’s list of sensation is seems endless so far, he was alleged to defame other DP members accusing them being involved with a religious cult Moon, transferring confidential documents to Taiwan and much more. The final accord seems is the accusation of his daughter B.Namuun who registered a company in offshore region. In S.Ganbaatar’s case, he was accused in taking 50 m Korean won donation from a citizen of Korea. The General Police Authority had opened the case however, due to incomplete documents the case was returned for further investigation. In addition to that S.Ganbaatar was named as a person who studied all his life without any diploma or certificate of higher level education. In previous Presidential elections, all the candidates participated in the Presidential debates but this time the debate itself became a sensation as DP candidate Kh.Battulga refused twice to participate. The main reason was claimed to be lack of time as Mongolia has 21 aimags (provinces) and the candidate must visit all the aimags to meet electorates. Public was aggressive as there were posts on the social media that in respect for the electorate the candidate must appear and participate in the debates. The Mongolian National Broadcaster, the main TV channel confirmed to organize the Presidential debates on June 24, 2017. Although the organizer hasn’t yet introduced publicly the rules of the debate, most of the experts expect traditional debates. More likely, followed by the questions and answers, each candidate shall have time for rebuttal. Even the most of the electorates complain that this election is an election without choices, crossing the fingers that at least 50% of the listed 1,978,924 voters will vote for the person to lead the country for the next four years.